We compile all the major announcements related to the IT sector. 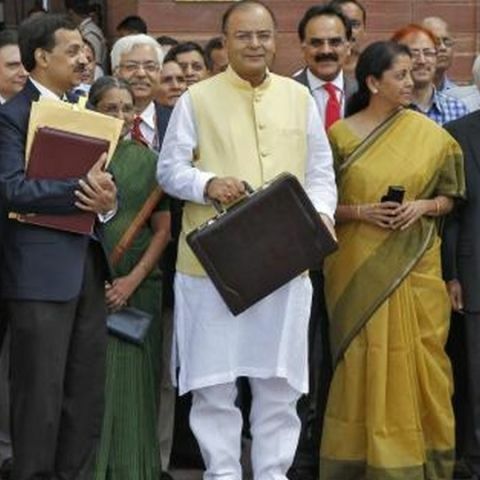 Finance minister Arun Jaitely today presented the Union budget for 2014-2015 in Parliament. 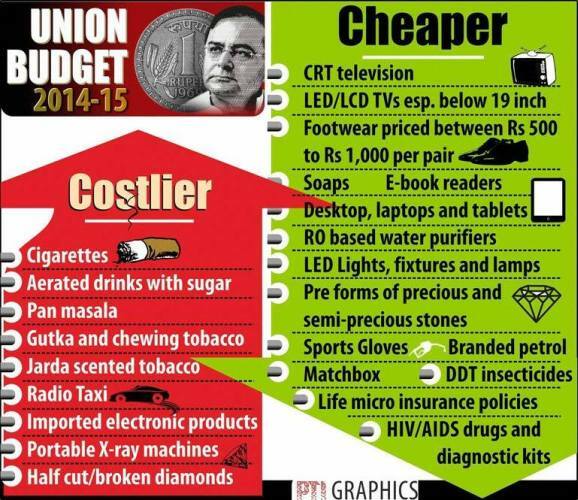 So far, the budget has received a mixed reaction, while a wide debate on 'achhe din' vs. 'bitter pill' continues. We take a look at some of the major announcements made for the IT sector in the Union budget and try to analyse how could it impact the industry and users. The new government has been stressing on building a broadband highway since the Day 1. The initiative, under the National Rural Broadband Vision, will help provide Internet access in remote areas of the country as well as push e-governance in the country. "A special focus will be on supporting software products startups. A national rural Internet and technology mission service in villages and training in IT...I have provided a sum of Rs 500 crore for this purpose," he said while presenting the budget in Parliament. "Prime minister Narendra Modi has set a target of providing broadband connectivity to 2.5 lakh local bodies (spread over six lakh villages) across the country over the next three years, with 50,000 this (fiscal) year and one lakh each over the next two years," Union Communications and Information Technology minister Ravi Shankar Prasad had said recently. The new announcement is certainly a welcome move, but a lot depends on how well is it implemented. The previous government made tall claims of bridging the digital divide in India, but evidently nothing much happened in that direction. We expect the new government to accomplish target within stipulated period of time. The government has set aside Rs. 10,000 crore as startup fund for new businesses. The move is likely to help encourage rural youth to take up entrepreneurship programmes. A national multi-skill programme called Skill India has also been proposed. "It is encouraging to see ecommerce and entrepreneurship getting explicit recognition in this year’s budget. Rs 10,000 cr. startup fund will act as a big boost to promote entrepreneurship and increasing risk appetite of our largely young population, that's constantly filled with brilliant and dynamic ideas," ​Mr. Mehul Agarwal, Co-Founder and Managing Director, Fabfurnish.com​. Another important decision that is likely to help start ups is duty concession for production of LCD and LED TVs below 19 inches in India. The government has proposed reducing basic customs duty on such TV panels from 10 percent to nil. The move is likely to help SMEs have lesser expensive computer monitors as well as help provide cheaper TVs in rural areas of the country. The government has also exempted Cathode ray TVs from basic customs duty to make these TVs cheaper. The government hopes the move will help revive manufacturing of TVs in the SME sector and create employment opportunities. "Start-ups are the lifeblood of any booming economy. The new budgetary provisions will definitely boost the Indian startup ecosystem by granting easy access to capital & resources, and also generate interest in international VC firms to consider India as a favourable investment destination,” says Mr. Shashank ND, CEO, Practo.com. The government has allocated a sum of Rs.100 crore for setting up virtual classrooms as Communication Linked Interfacefor Cultivating Knowledge (CLICK) and online courses. "Initiatives in the education sector by the new government seem highly motivating for engineering and medical aspirants in India. The push in the higher education sector and support extended for the middle class income group in the form of avenues and affordable options is encouraging," says Mr. Aakash Chaudhry, Director, Aakash Educational Services Ltd.
"The government's decision to focus on setting up more institutes for technical & professional education such as AIIMs, IIMs and IITs is an extremely positive step. We have a huge population and scaling successful models like IITs is critical to bring quality education to more & more people," says Mr.Pavan Chauhan, MD and Co-Founder - Meritnation.com. eVisa: The government has announced the facility of Electronic Travel Authorization (e-Visa) that will be rolled out at nine airports in India. This is supposed to further facilitate the visa on arrival facility. Kisan TV: A new channel focussed on the interests of the agriculture and related sector has been announced. The channel, to be launched in the current financial year, will be responsible for providing information on new farming techniques, water conservation, organic farming etc. A sum of Rs. 100 crore has been allocated for this purpose. The government has introduced a new scheme worth Rs. 100 crore for promoting Community Radio stations in the country. The initiative will help about 600 new and existing Community Radio stations. The government also proposes to accorded status of Institutes of national importance to Film & Television Institute, Pune and Satyajit Ray Film & Television Institute, Kolkata as well as setting up a “National Centre for Excellence in Animation, Gaming and Special Effects”. “Whilst it is very encouraging to see the government giving more attention to the internet and support of animation and gaming, I view the initial allocations as a small step in the right direction. China has a near $ 1 Trillion internet economy, India will transition from 2G to 4G and add another 400 million mobile internet users over the next 3 years, we need an unprecedented push toward digital for a significantly higher consumer adoption as it will spark productivity across sectors,” says Neeraj Roy, MD & CEO, Hungama Digital Media Entertainment. The government has allowed the manufacturing units to sell products through e-commerce platforms without any additional approval. "Liberalisation of FDI in eCommerce sector will provide much-needed certainty to foreign players and to a sector that has the promise to provide increased commerce and generate employment in the country. This will also provide boost to the sector and create healthy competition so as to benefit all the constituents in the ecosystem - consumers, government, eCommerce players, and retailers in general,” says Mr. Sandeep Ladda, India Technology leader, PwC India. "The first budget by the Modi govt promises to boost ecommerce in the country by increasing internet penetration in rural areas. The National Rural Broadband Vision aims to increase internet usage in Tier-II and III cities as well as boost mobile internet usage which is expected to become one of the key drivers of ecommerce in India in the coming decade," says Mr. Ashish Jhalani, Founder eTailing India. However, extension of service tax to segments such as online and mobile advertising has disappointed many. “The aspect of bringing back online advertising into the service tax ambit, whilst it is still a fledgling segment, is therefore almost a conflicting action and not a welcome move,” says Mr. Neeraj Roy, MD & CEO, Hungama Digital Media Entertainment. You can expect electronic items made in India to get cheaper further. In a bid to push domestic production and reduce dependence on imports, the government has proposed 10 percent customs duty on specified telecommunication products that are outside the purview of the Information Technology Agreement. There's also proposal to impose education cess on imported electronic products to provide parity between domestically produced goods and imported goods. The government has also exempted all inputs/components used in the manufacture of personal computers from 4 percent special additional duty (SAD), which means made in India tablets and PCs would get cheaper. "We’re happy to see that the government is seeing the need of urbanisation of India and its governance as one of the primary tasks. It is imperative that local businesses and rural areas gets access to internet and a computer, as this is essential in todays technological era for them to grow and prosper," says Mr. Ankit Gupta, CEO & Founder, Webbzer. “We welcome the announcement for the IT sector, the budget looks very pragmatic and realistic. The government has pledged to support the growth of domestic information technology capabilities in both hardware and software, focused on enabling the timely delivery of citizen services and creating new jobs opportunities, especially in rural areas. Talking about the micro – Exemption on all inputs/components used in the manufacture of personal computers from 4 percent special additional duty (SAD) would help revive the subdued demand and promote domestic manufacturing in the country," says Mr. Ravi Swaminathan – Managing Director, AMD India & VP (Sales & Marketing) AMD South Asia. Evidently, there's a lot of focus on encouraging local entrepreneurship and reducing dependence on import. We can expect more affordable products from local manufacturers as well as hope companies to prefer manufacturing in India. It will be interesting to see how the foreign players in the country react to the shift in focus. From users' point of view, an immediate impact is unlikely, but if proposals implemented in letter and spirit, scenario might change pretty soon. You can check out full budget text here.